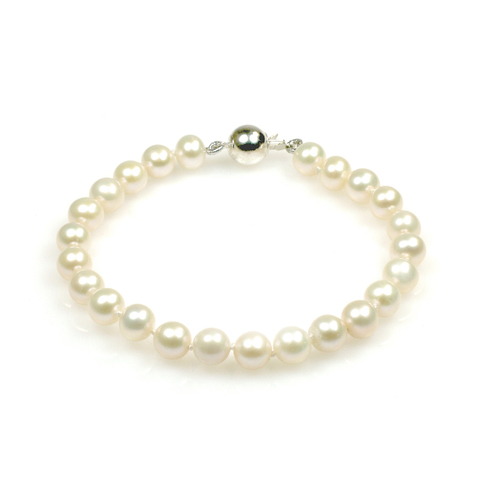 What exact do the 'AA', 'AAA' mean in freshwater pearl quality rating? Let's take a closer look at two of our most popular classic pearl designs, the Katie collection and the Angelina collection, featuring AA and AAA freshwater pearls. 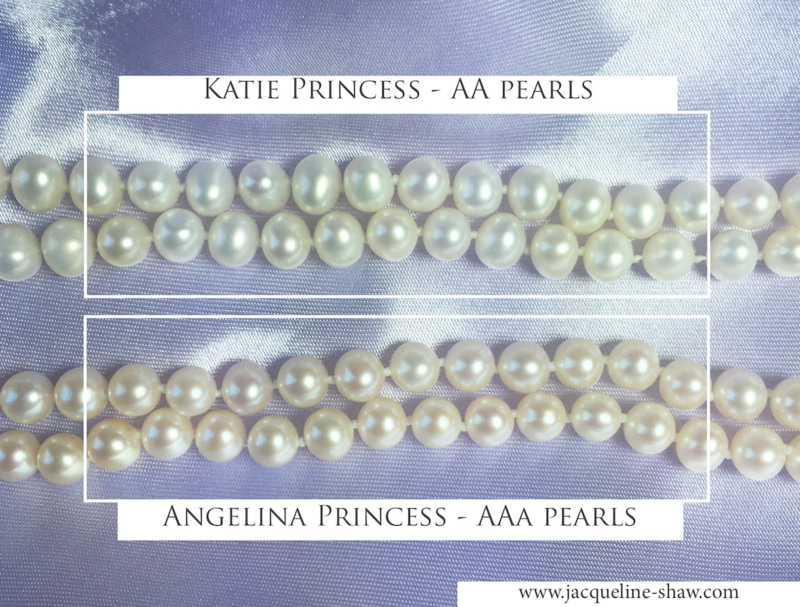 In this side-by-side comparison, we can see that the AA freshwater pearls in Katie princess pearl necklace are off round, with a nice lustre and very limited surface blemish. In contrast, the AAA pearls in the Angelina collection are perfectly round, no surface blemish and a higher lustre (the pearls have richer cream overtone compared to the AA rating pearls in Katie collection). 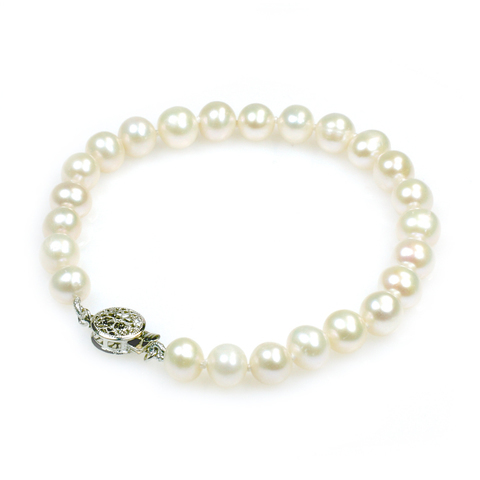 Freshwater pearls quality are determined by a number of factors, such as oyster health, age, water quality etc. Within an oyster that bears more than 10 pearls, the quality is also determined by where the pearls is in the oyster shell - in general, the pearls in the centre of the shell tend to have higher lustre than those at the edge. A pearl farm produces a mixture of all quality rating pearls, these are then hand picked, sorted and graded one by one by pearl experts. The rounder and richer the lustre of a pearl, the rarer it is amongst the hundreds or thousands of pearls in each harvest. Katie princess pearl necklace, with its off-round AA pearls with gentle cream overtone, has a nice casual feel to it, goes perfectly with a summer dress or even sweater and jeans. Katie princess makes a great birthday gift or a graduation gift, a great first strand of pearls for a young lady. We also recommend the Katie collection as bridesmaids pearls - they look great with several sets in coordination and don't break the bride's purse! Feature the same grading pearls as the necklace, Katie bracelet is a charming companion. With the lovely sterling silver plique-a-jour clasp that matches the one in the necklace, Katie bracelet can be worn either in a set, or by itself. With the top quality grading, AAA pearls in a strand, Angelina princess is a statement jewellery that is suitable for many big occasions, such as wedding, gala, awards dinner and so on. The same design also comes in the choker length, the Angelina Choker pearl necklace - 2 inches shorter for a slightly different look. Depending on your dress neckline, pick the right length and style pearl necklace, and you'll look just fabulous. And to complete the look, we recommend the matching bracelet, and the AAA rated pearl ear studs Lucy Neige of the same colour and overtone, for the perfect pearl jewellery set. The Angelina bracelet can also be worn alone without the necklace, for a more casual style. With their beautiful immaculate surface and gorgeous cream overtone, the perfectly round AAA pearls featured in Lucy Neige pearl ear studs are a real treat. 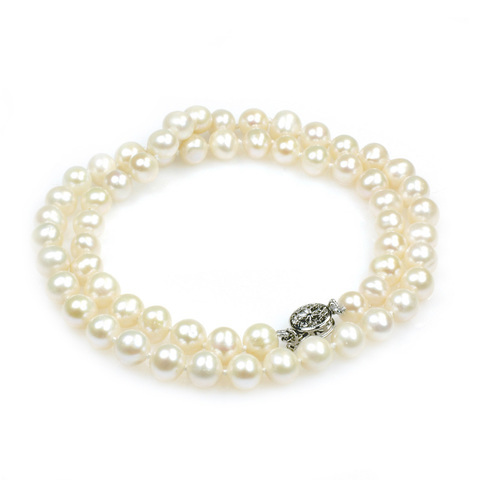 They are a classic 7.5mm in size, which goes in harmony with the pearls in the Katie and the Angelina collections, all featuring 7 - 8 mm freshwater pearls. 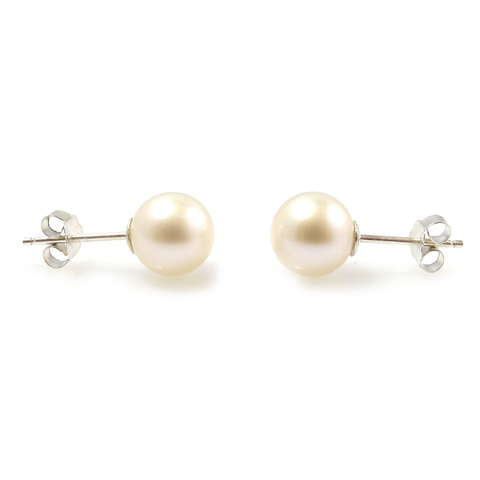 The Lucy Neige pearl studs can also be worn alone, or with either silver or gold necklaces, as pearls are versatile in style and don't clash with other metals.